CHICAGO –- (RealEstateRama) — Illinois licensed professionals on the front line of the mortgage and real estate closing process descended upon the James R. Thompson Center this week to learn more about cyber and data security. A free conference hosted by the Illinois Department of Financial and Professional Regulation (IDFPR) provided those in attendance with the opportunity to hear from industry experts, as well as the Federal Bureau of Investigations on how cybersecurity issues can compromise the real estate closing process. IDFPR’s Cybersecurity Conference included information on how the state’s regulator proactively responds to cybersecurity issues, as well as an FBI presentation on current threats involving the real estate closing process. The conference also included an inter-industry panel made up of industry experts, a hacking demonstration, and an informational presentation on best practices. Licensed professionals in attendance included attorneys, real estate professionals, title professionals and lenders. first row (left to right) – Francisco Menchaca, Linda Grahovec, Allison, Jessica Edgerton, and Michael Rastigue. Second row (left to right) – Robert Perry, Patrick Flanigan, Erin Tracey Jenner, Schneider, Michael Abreu, and John Costello. IDFPR’s Cybersecurity Conference was held in partnership with: Illinois Land Title Association, Illinois Credit Union League, Illinois Bankers Association, Illinois REALTORS, American Land Title Association, National Association of REALTORS, Greater Midwest Lenders Association, Illinois Mortgage Dealers Association, Illinois Real Estate Lawyers Association, Community Bankers Association of Illinois, and Illinois League of Financial Institutions. Follow IDFPR on Facebook, Twitter and YouTube to stay current on the latest from the state’s regulatory agency. 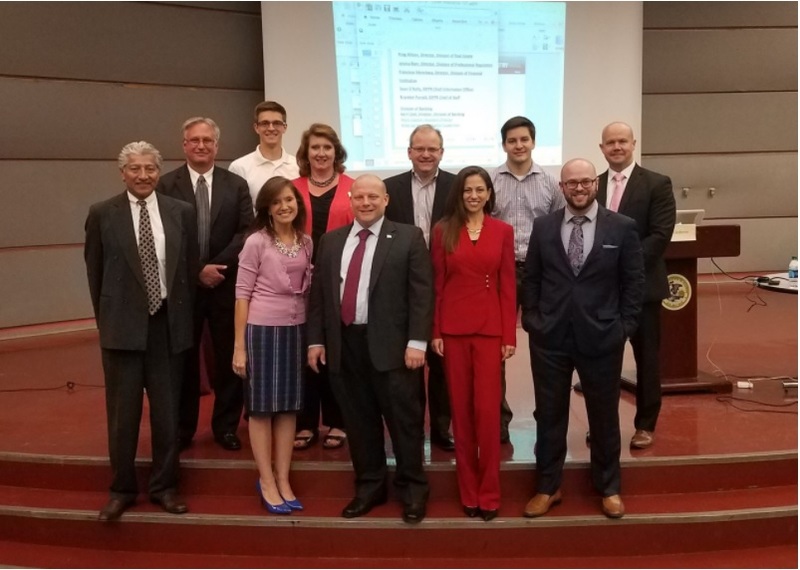 Pictured in the attached: first row (left to right) – Francisco Menchaca, Linda Grahovec, Allison, Jessica Edgerton, and Michael Rastigue. Second row (left to right) – Robert Perry, Patrick Flanigan, Erin Tracey Jenner, Schneider, Michael Abreu, and John Costello. 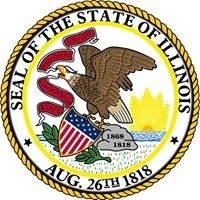 State of Illinois – CONFIDENTIALITY NOTICE: The information contained in this communication is confidential, may be attorney-client privileged or attorney work product, may constitute inside information or internal deliberative staff communication, and is intended only for the use of the addressee. Unauthorized use, disclosure or copying of this communication or any part thereof is strictly prohibited and may be unlawful. If you have received this communication in error, please notify the sender immediately by return e-mail and destroy this communication and all copies thereof, including all attachments. Receipt by an unintended recipient does not waive attorney-client privilege, attorney work product privilege, or any other exemption from disclosure.